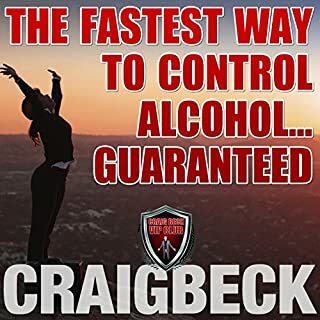 I listened to the audiobook &quot;The Fastest Way to Control Alcohol Guaranteed&quot; probably 4-5 times and have been alcohol free and without cravings for 9 weeks! The first day, I listened in it's entirety and then I listened to excerpts on a daily basis for about 2 weeks. I am thrilled with my new life and I am so happy to have found this book.